So you have decided to pick up an Android device powered by Google’s latest operating system aka 4.0, Ice Cream Sandwich. Google has taken the best features of Android 2.3 Gingerbread and Android 3.0 Honeycomb and combined them to form Android 4.0, Ice Cream Sandwich, with some new additions. The OS has been optimized for use on an Android powered tablet as well as a smartphone unifying the Google ecosystem in the same way that Apple has unified the iOS experience with the iPad, iPhone and the iPod touch. If you have upgraded you Android device to run ICS (if it supports it), a new budget ICS tablet, or have purchased a new device such as the Asus Transformer Prime, Samsung Galaxy Nexus or the HTC One X (read our review), you will not only be able to use your existing old apps on the device but some of these apps are optimized to take advantage of the new OS. So, here’s our list of 5 apps optimized for ICS. You can download Dropbox for Android here. 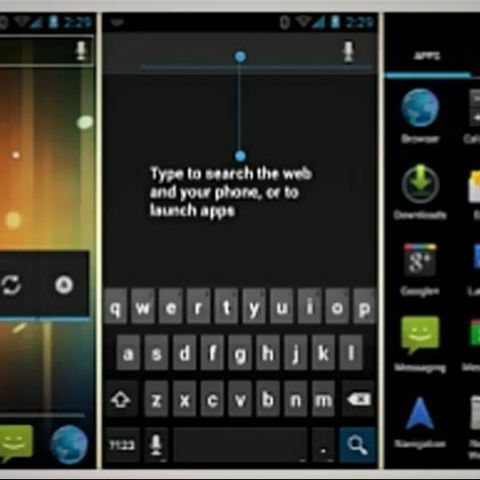 This browser can be considered as an enhanced version of the stock browser available on the vanilla Android 4.0 experience. You can download the ICS Browser Plus here. Simplifying the activity of taking notes on your ICS device and synching it with other device just got easier with Notes for ICS with task Sync. The USP of this app is that you can sync all your notes to Google Tasks sync. You can sync your Syncs with your existing Google account to keep your notes and tasks backed up in the cloud without requiring you to input any passwords. You can download Notes for ICS with task Sync here. You can download beautiful widget here for Rs. 140. You can download MX Video Player here.